USA-TKJ ® is America's Home of Traditional Judo For All..!! Traditional Kodokan Judo is simply the practice of Kodokan Judo as described in the text of “Kodokan Judo” by Prof. Jigoro Kano, without “overwhelming emphasis” on the sport of Judo; studying the history, etiquette, waza and kata of Kodokan Judo and enjoying them for what they are – “The knowledge, skills and a way of life” based on principles taught by its Founder, Prof. Jigoro Kano. 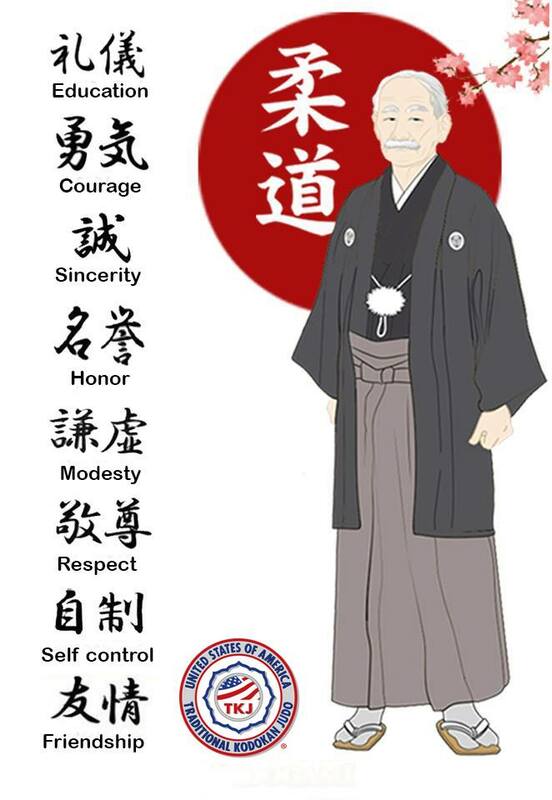 The Mission of the USA Traditional Kodokan Judo (USA-TKJ) ® is to unify American Judoka with a Foundation of Mutual Respect and Mutual Benefit for All and to provide services / guidance to foster Technical Excellence, Fellowship and Human Character Development. As the USA National Governing Body for Traditional Kodokan Judo with the Martial Arts International Federation (MAIF) and International Traditional Kodokan Judo (ITKJ), USA-TKJ selects, prepares and sends the Official USA TEAMS to Continental, International & World Level Competitions. USA Traditional Kodokan Judo (USA-TKJ) ® founded in 2005, is the National Member of Martial Arts International Federation (MAIF) and also serves as the USA National Governing Body for Traditional Kodokan Judo with the Martial Arts International Federation (MAIF) and International Traditional Kodokan Judo (ITKJ). 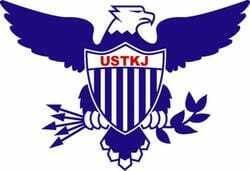 USA-TKJ is an All-Inclusive National Organization for All Traditional Focused Judoka. USA-TKJ is a Non-Profit Organization. USA-TKJ supports the "Judo For All" mission of The Association For International Sport For All (TAFISA) which is recognized by the International Olympic Committee (IOC). 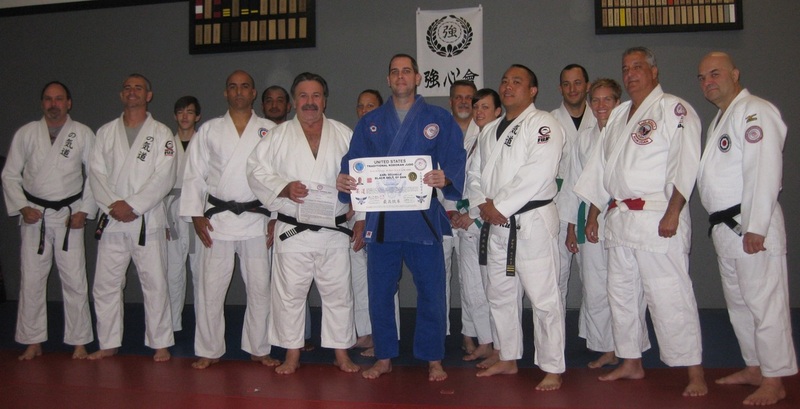 See USA-TKJ's National Yudanshakai (Systems & Black Belt List). USA-TKJ Promotion, Recognition & Leadership..!! JORGE DELGADO & DIONISIO DE LA TORRE WITH THE NEW USA-TKJ BANNER..!! 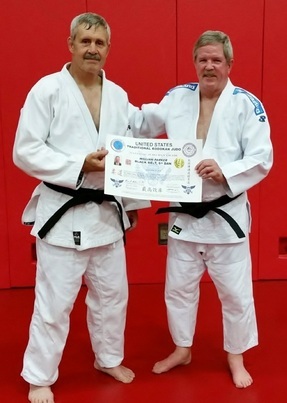 USA-TKJ Rokudan Promotion Ceremony for Sensei Earl Delvalle in Florida..!! Alert...!! Available at Our Kiai Budo Shop..!! USA-TKJ BOOK - COMING SOON..!! USA TRADITIONAL KODOKAN JUDO - ACTION SHOTS..!! - 2019 HALL OF FAME..!! - 2018 Edition of "USA TRADITIONAL JUDO TIMES"..!! - 2018 USA TRADITIONAL KODOKAN JUDO CHAMPÌONSHIPS..!! 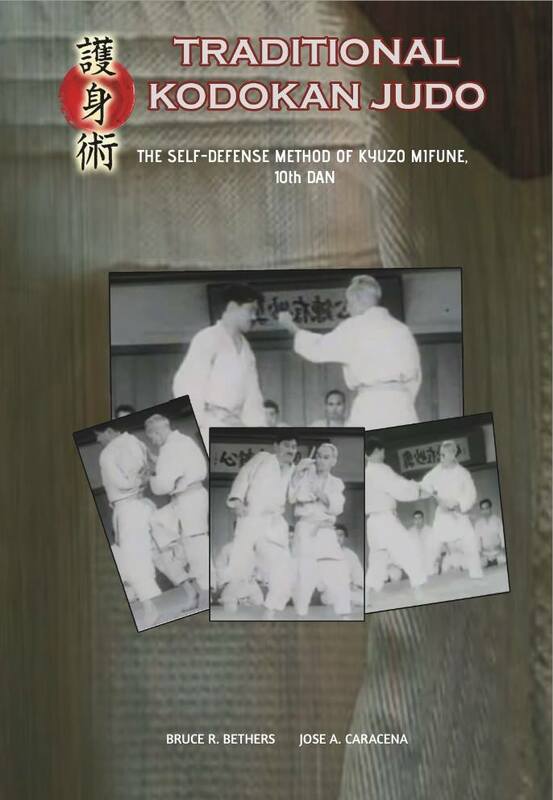 ​- Professor Kano's Essay on Competition & Randori..!! - New "ALL AMERICAN" Annual Membership in USA-TKJ, USJJF & USMAF..!! - Photos from the Winter Camp Coming in West Virginia in January..
- USA Traditional Kodokan Judo National Championships..!! ​- Keiko Fukuda Judo Foundation..!! Remembering Mrs. Judo..!! - Photos from the USA-TKJ Seminar in Florida..! ​- Need Dojo Insurance..!? USA-TKJ recommends Francis Dean & Associates..
USA-TKJ Merchandise at Kiai Budo Shop..!! COMING SOON AT KIAI BUDO SHOP..!! 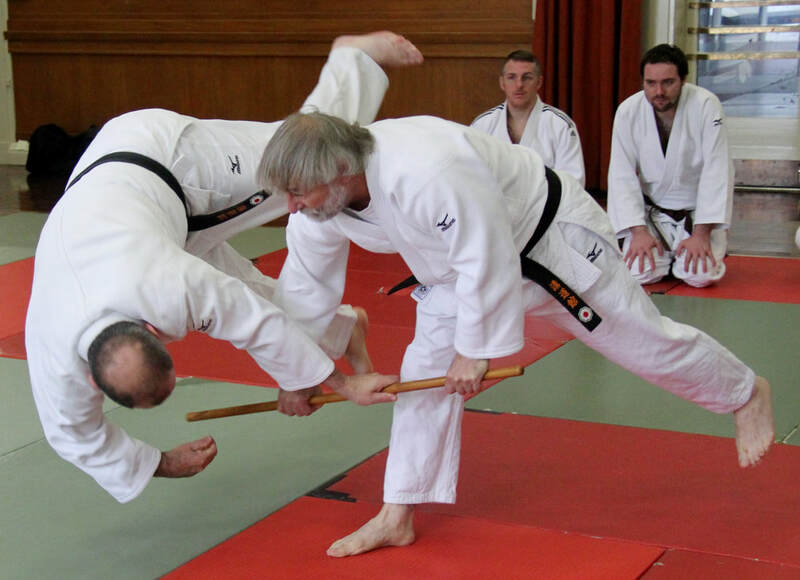 USA-TKJ Preserves Prof Jigoro Kano's Traditional Kodokan Judo..! !